Use this easy twine storage tip to keep your twine organized! 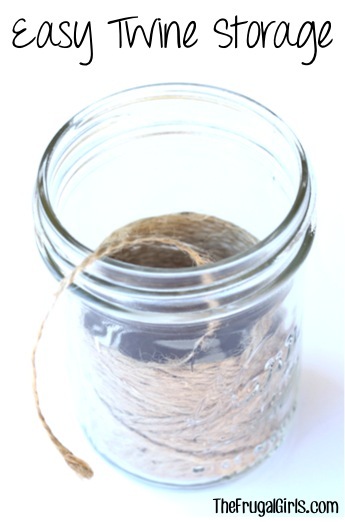 Jute Twine is one of my favorite Craft and Garden supplies, and I’ve got an Easy Twine Storage Tip for you! Well… you know I’ve got quite an infatuation with Mason Jars, and Wide Mouth Pint Jars just so happen to be the perfect size to fit a roll of twine! Simply pop it in, and leave the top dangling out to pull from… no more messy jumbled twine globs! 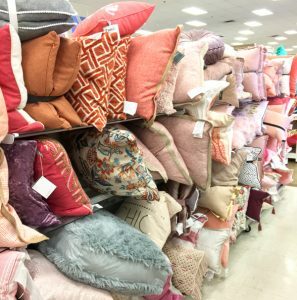 Easy-peasy, and all organized! Need more Twine? Check out these sweet deals with Twine on Sale! 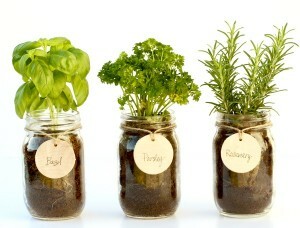 Enjoy fresh herbs year round with this easy DIY Mason Jar Herb Garden! 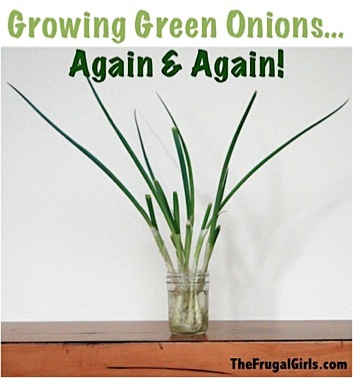 Growing Green Onions in Water is the perfect frugal way to make your Green Onions really last! Got an empty plastic milk carton laying around? Check out this easy trick to make a Milk Jug Watering Can! Organize Craft Area on your to-do list? 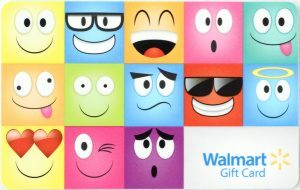 These 14 tips are going to get your inspired!